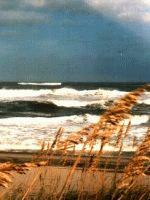 Since 1992, we have written an article just about every month about the real estate market on Hatteras Island. These articles have appeared in such publications as the Hatteras Monitor magazine, the Island Breeze newspaper, and most recently in the Island Free Press (www.islandfreepress.org), Hatteras Island's online newspaper. While the purchase and sale of property on Hatteras Island is in many ways similar to the practice of real estate in your home town markets, there are some very real, unique and important differences. To help buyers and sellers make better informed decisions, we are offering a number of free special reports. These reports provide simple guides to complex subjects. They will foster your understanding of the Hatteras Island real estate market as well as contributing to the quality of your investment decisions. Real Estate Market Trends - A summary of key market indicators and how they may be signalling the start of the next market cycle. In addition, four other popular reports addressing erosion, insurance, and the building process are available on request. Use our information request screen to order one or more of these essential reports. Contact us today!